He has authored ten books on sports, business, health, and history, the last six of which are national bestsellers, including Bo's Lasting Lessons, Endzone, and The Great Halifax Explosion. Bacon has also pursued his passions for radio, television, coaching and teaching. 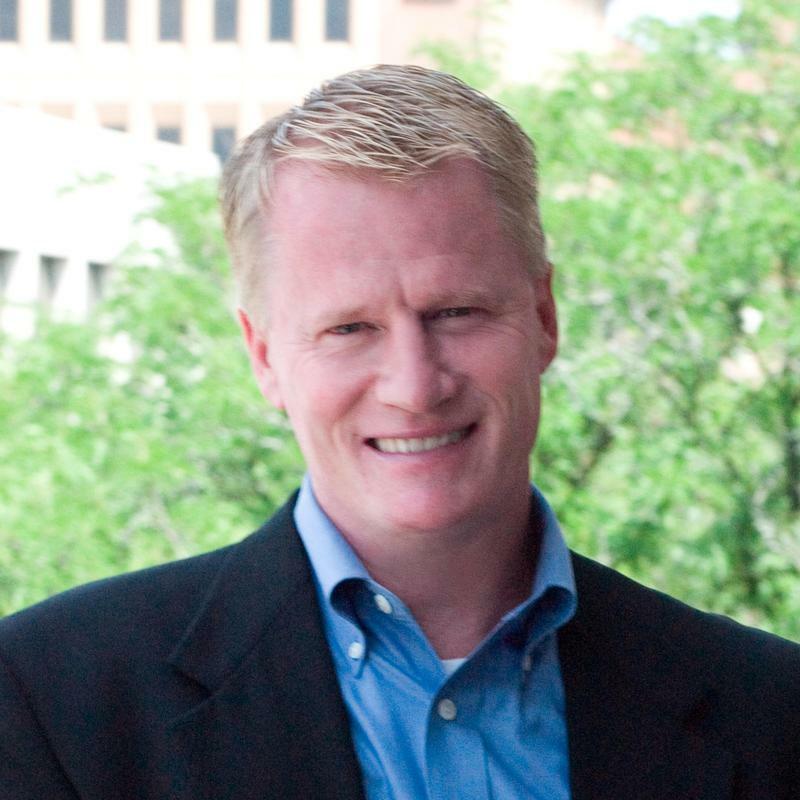 In 2007 he was invited to give weekly sports commentary on Michigan Radio every Friday morning and appears weekly on Michigan Radio’s Stateside, and occasionally on National Public Radio, which awarded him the PRNDI prize for nation's best commentary in 2014. He appears often on TV, including HBO, ESPN, Fox Business, MSNBC, and the Big Ten Network, where he is a frequent contributor to both “Icons” series. 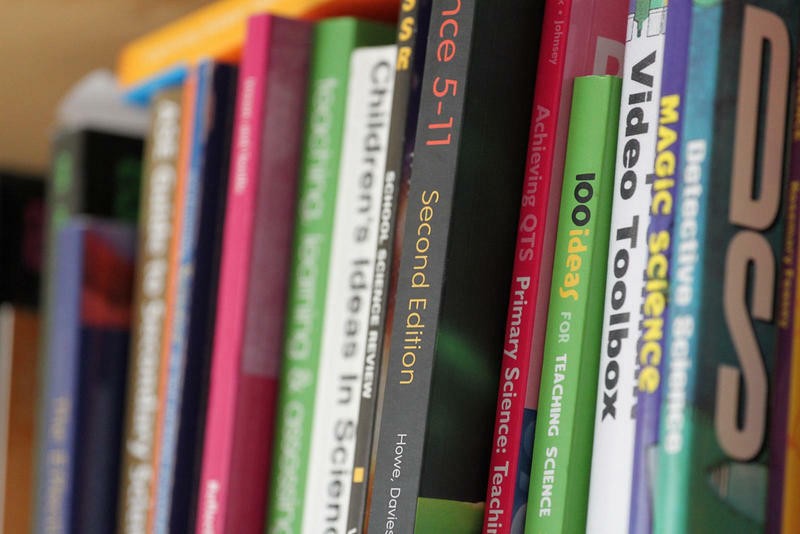 Bacon has taught at Northwestern’s Medill School of Journalism, and teaches at the University of Michigan, where the students selected him for the 2009 Golden Apple award, given annually to the University’s top teacher. 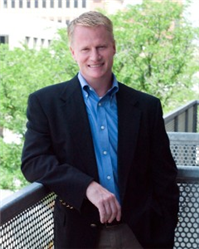 Bacon delivers speeches on the themes taken from his books, and coaching and teaching experiences -- including leadership, diversity, motivating millennials, and creativity -- to corporations, universities, and other groups around the country and the world. Bacon is an average hockey player, a mediocre Spanish speaker, and a poor piano player – but this has not stopped him from enjoying all three. He lives in Ann Arbor with his wife and son. 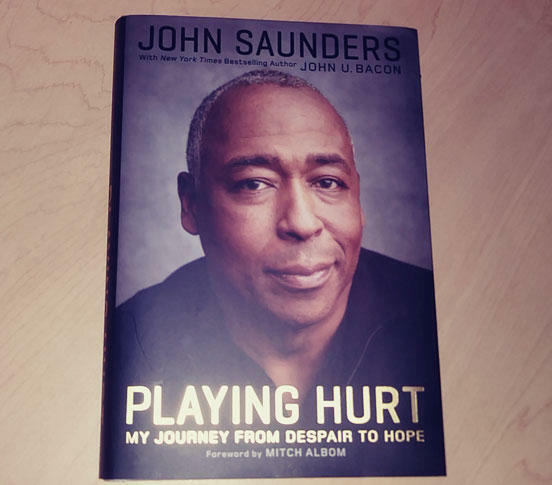 Since 1986, college football fans looked forward to hearing the beautiful baritone of John Saunders on ESPN and ABC – but not this year. I met him two decades ago during a charity hockey game at Joe Louis Arena. We dressed next to each other, started talking, and kept it up for a couple decades. Ten years ago, John told me he wanted to write books. We started exploring a couple ideas, until September 10, 2011, when John stood up too fast on the set, blacked out, and fell backward on the tile floor, right on the back of his head. For the first time in their 119-year football rivalry, Michigan and Michigan State football will play at night this Saturday. The 7:30 kick-off time excites the recruits, the players, and the students. In other words, young people. The night game bothers many older fans, and worries store owners, university officials, and the police. 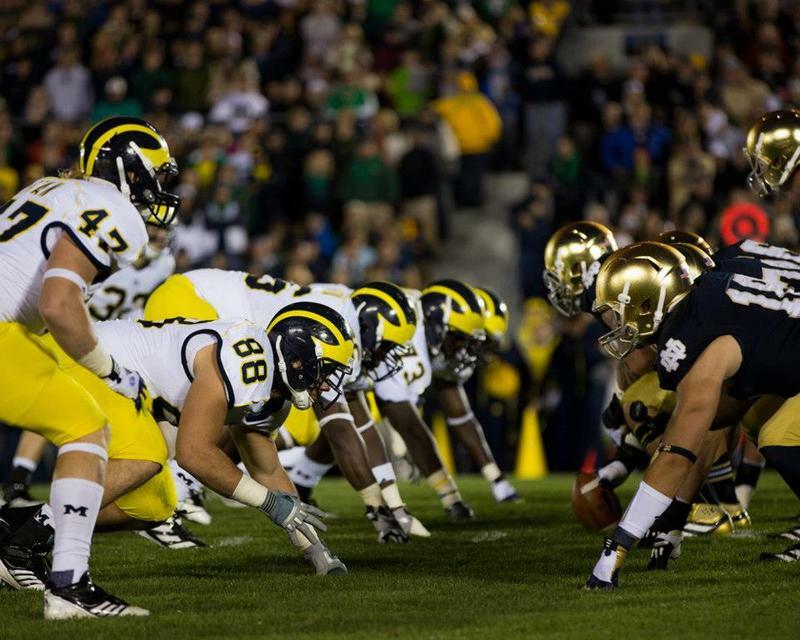 True, the late starts can bring a new energy to the game, which it did when Michigan hosted Notre Dame in Michigan’s first ever night game, in 2011. After the Wolverines pulled off an amazing 17-point comeback, the crowd stuck around for 30 minutes, just to cheer. But older fans don’t like getting in their cars after midnight, especially when many have to drive several hours. 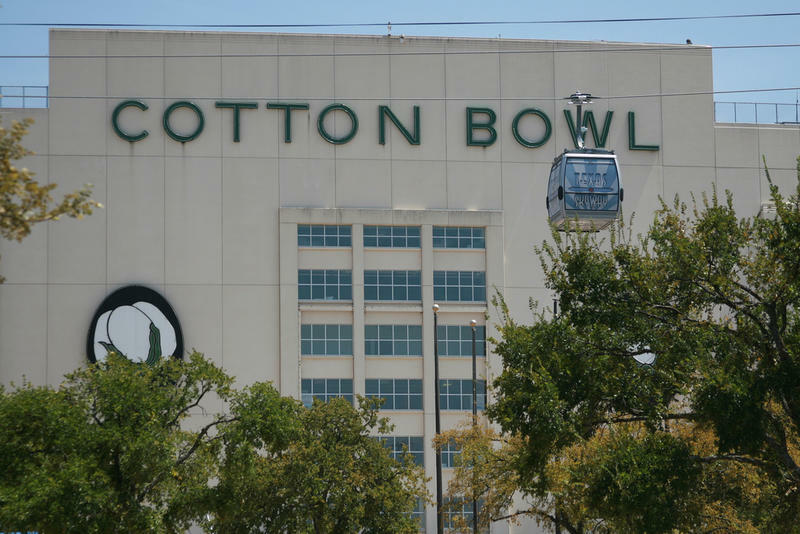 Everyone else is worried about how fans will behave after a full day of tailgating. Some restaurant owners are prepared to close their doors if things get out of hand, and the police and university leaders of both schools are working to keep that from happening. So why risk it? That one’s easy: Money. 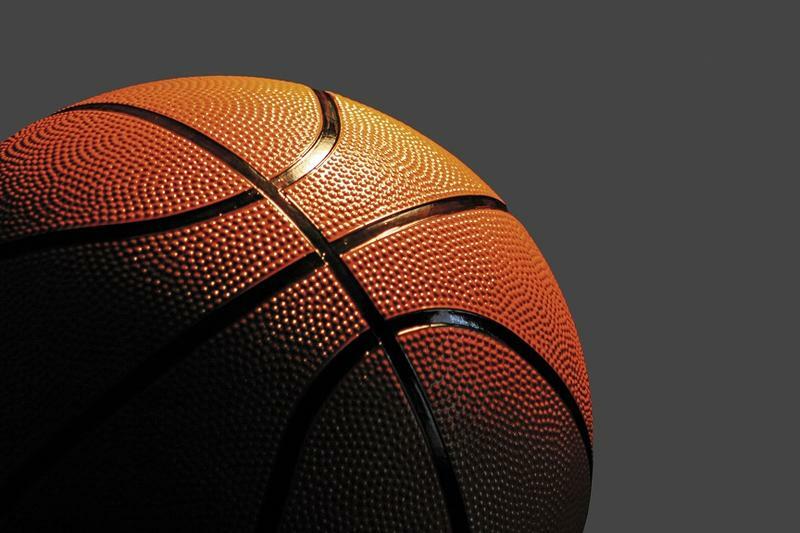 FBI undercover agents have been investigating college basketball for two years, and they found everything the NCAA has largely failed to find for decades: coaches paying top recruits through shoe companies. The investigation is ongoing, and the results are only now starting to roll out, so we still have more questions than answers. But we can already be certain of a few things. Assistant coaches at the University of Southern California, Arizona, Auburn, and Oklahoma State were arrested for corruption. Not questioned about potential cheating, the way the NCAA does it. Arrested. 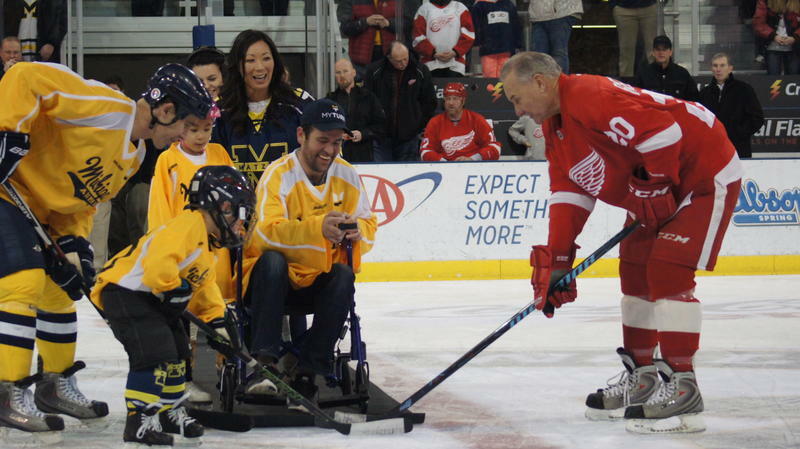 I’ve always said the two toughest jobs in this state are not governor, mayor of Detroit, or CEO of General Motors, but goalie for the Red Wings and quarterback for the Michigan Wolverines, because you can never do enough. It makes a lot of sense when you experience our famously frigid, gray winters, our non-existent springs, and our surprisingly steamy summers. 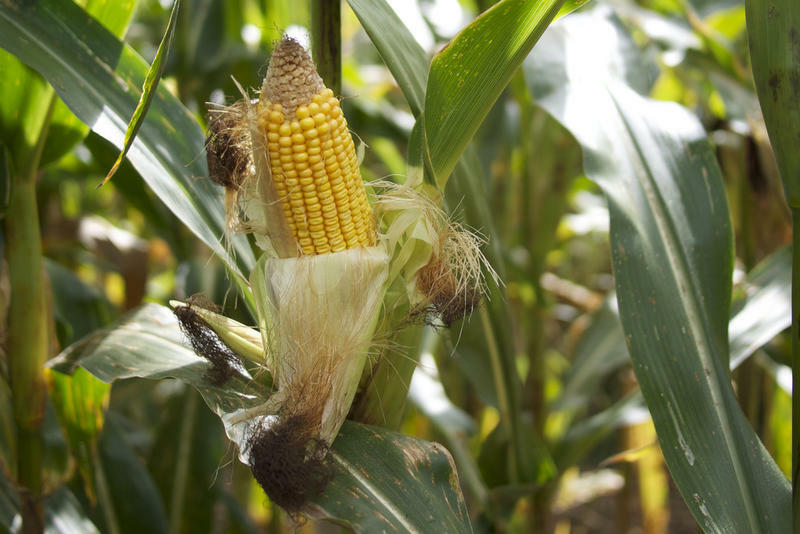 But in Big Ten towns, life begins anew not in spring, but in fall— when the students and professors return right on schedule, concerts and shows pack the calendar again, and the whole cycle starts over. The new Michigan hockey coach is Mel Pearson. Who? 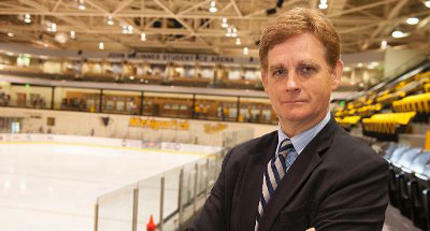 This week, the University of Michigan did something it hasn’t had to do in 33 years: hire a new hockey coach. The last time the job opened was 1984. 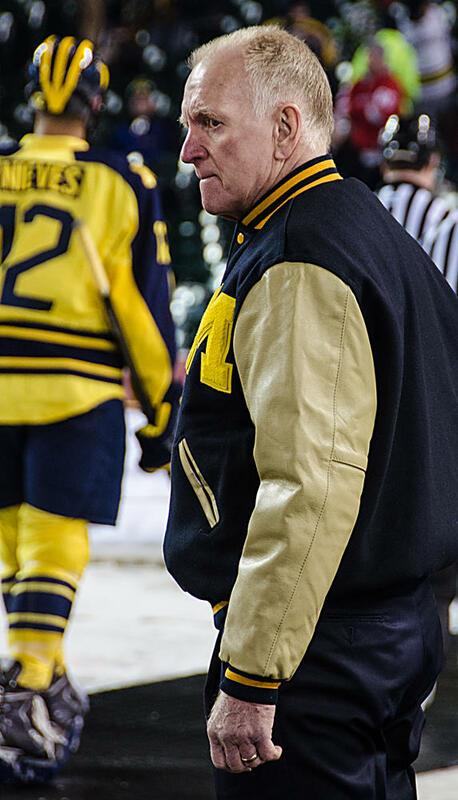 Athletic director Don Canham heard Red Berenson was on campus moving his oldest son, Gordie, into his dorm room. Canham called Berenson to his office, offered him the job for the third time, and Berenson finally took it. If he hadn’t, it’s not clear who Canham could have hired. 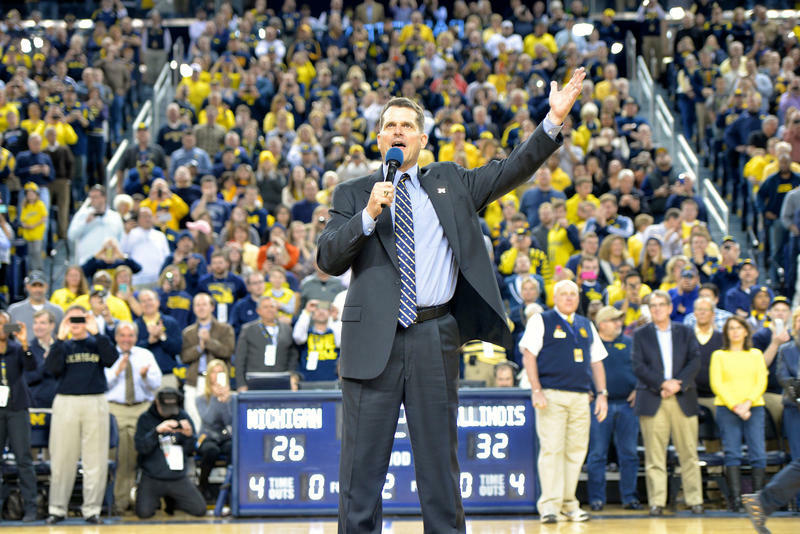 After all, the guy Michigan just fired was a failed former high school hockey coach. Michigan was at the bottom of a glorified bus league, with an empty building, and nothing to brag about. The first part of this story, you probably know. The Michigan men’s basketball stunk so badly two months ago, just about everyone figured they’d never get to the NCAA tournament in March. 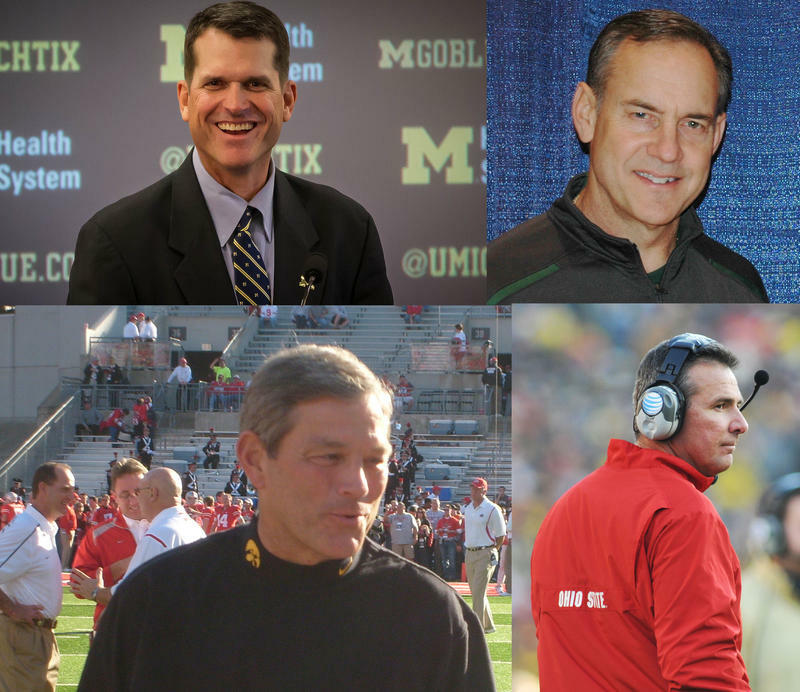 They had some talent, but other coaches considered them one-dimensional: all offense and no defense. 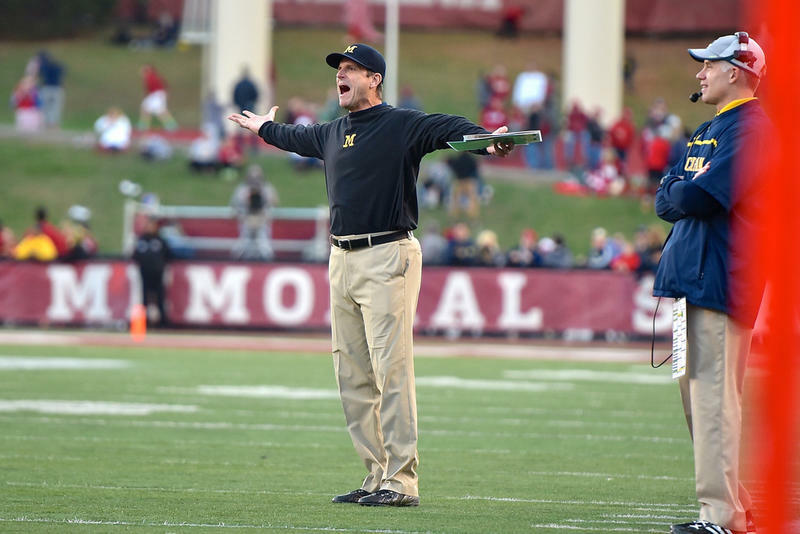 Worse, they said Michigan was soft and lazy – two things no coach wants to hear about his team. Have the Red Wings lost their groove? 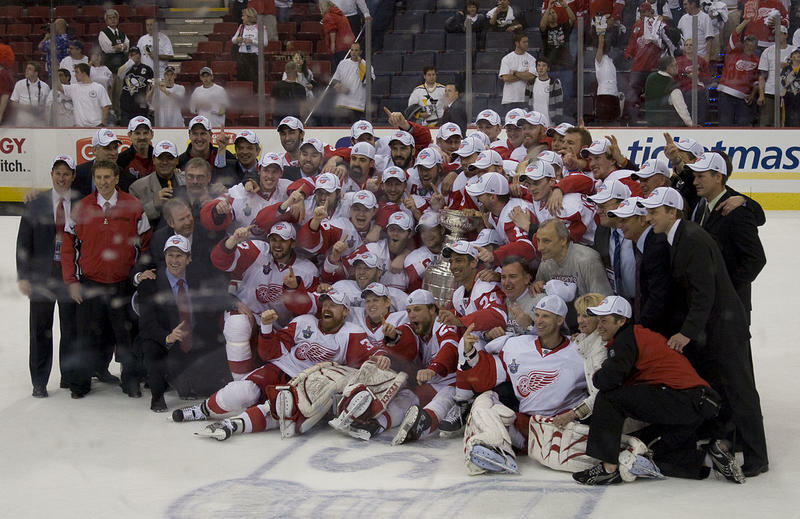 The Detroit Red Wings have been one of the most successful franchises in any sport for a quarter century, by just about any measure: victories, titles, attendance, profits, and even respect – from fans, players, and executives. Most sports fans are happy just to see their team make the playoffs. 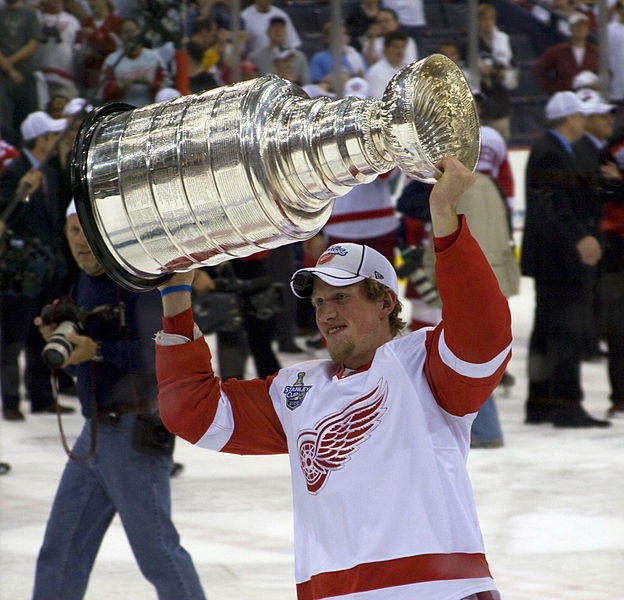 But the Red Wings made the playoffs for 25 straight seasons – a league record. Listen to John U. Bacon's commentary. 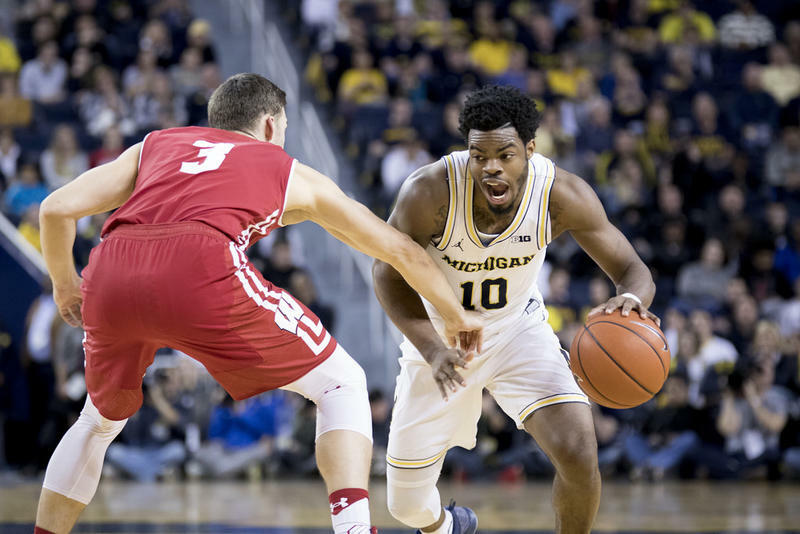 Michigan’s basketball team, led by two strong seniors, was expected to return to the NCAA tournament this year, for the seventh time in coach John Beilein’s tenth year. But after the Wolverines dropped three of their first four Big Ten games, few would have taken that bet. 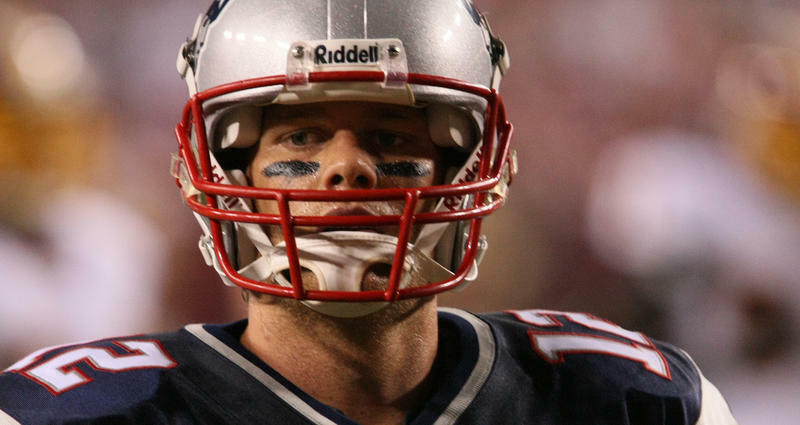 New England Patriots’ quarterback Tom Brady just won a record fifth Super Bowl Sunday night. He’s now being called the greatest of all time. But you wouldn’t have guessed that 25 years ago, when Brady had to fight for playing time on his high school junior varsity, a team that had not scored a touchdown all year. It’s college bowl season, and around these parts, that can only mean one thing: Rumors of Michigan football coach Jim Harbaugh going to the NFL! Of course, that seasonal rumor comes with many other traditions, including ridiculously irresponsible click-bait stories based on absolutely nothing, everyone freaking out because of it, and the whole thing amounting to zero. ‘Tis the season – and will be every season Harbaugh is Michigan’s coach, any NFL team needs a coach, and any reckless reporter needs a few thousand more Twitter followers. It was supposed to be simple. Before the college football season started, Ohio State, Michigan, and Michigan State were all ranked in the top twelve. 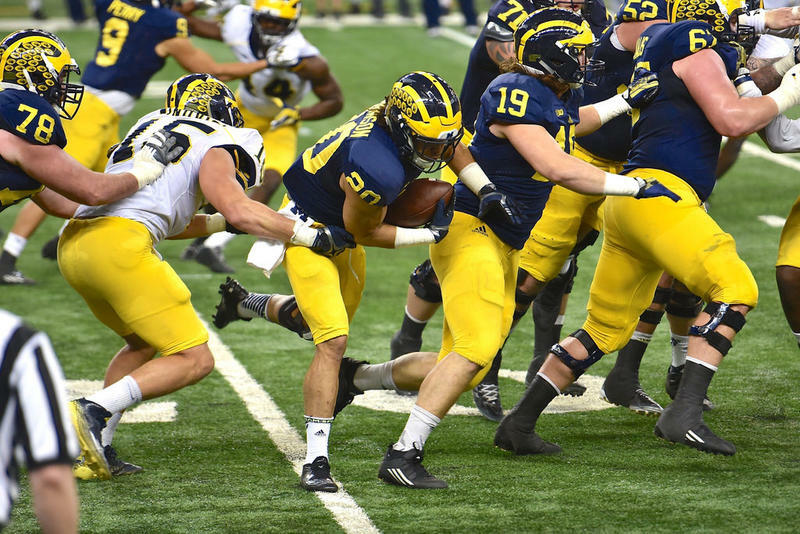 The three teams were expected to battle all fall, with the Big Ten East Division title coming down to the Michigan-Ohio State game, and the winner going to the four-team national playoff. Well, the best laid-plans, and all that. After compiling an amazing 36-5 record over the past three years, the Spartans won their first two games, before losing their next seven. The wheels have all but come off in East Lansing, where they’re just playing for pride. On Michigan Radio, we don’t normally cover baseball outside the state. 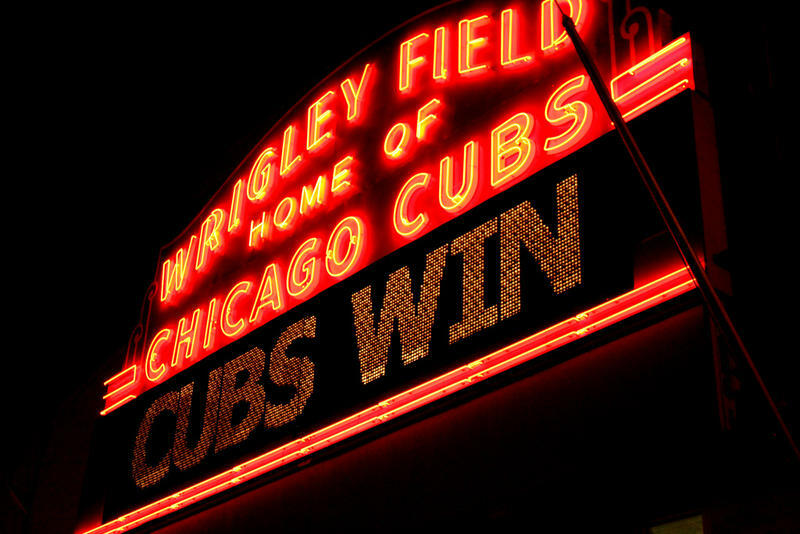 But we have to make an exception this week, because the Chicago Cubs beat the Cleveland Indians in the World Series. If we don’t talk about this now, we might not get another chance for 108 years. And who knows? I could be gone by then. Why should you care about either team? Well, maybe you shouldn’t. These are just games, after all, while we’re in the throes of the most serious election in decades. Last year, football fans witnessed the Mother of all Michigan-Michigan State games. For the first time in years, both teams were ranked, revved up, and ready to go. The Spartans moved the ball much better than the Wolverines, but still trailed Michigan until the last play of the game. 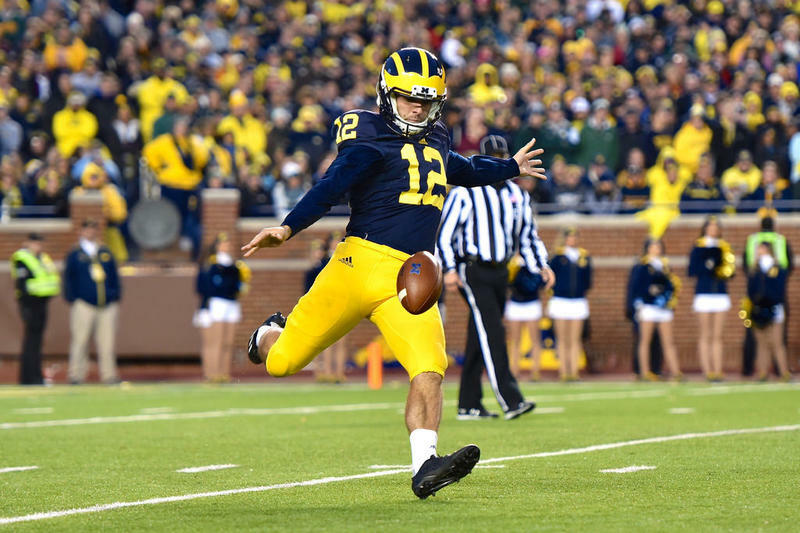 Because Michigan’s fantastic punter, an Australian named Blake O’Neill, was having the game of his life, pinning the Spartans deep in their own end, time and again. 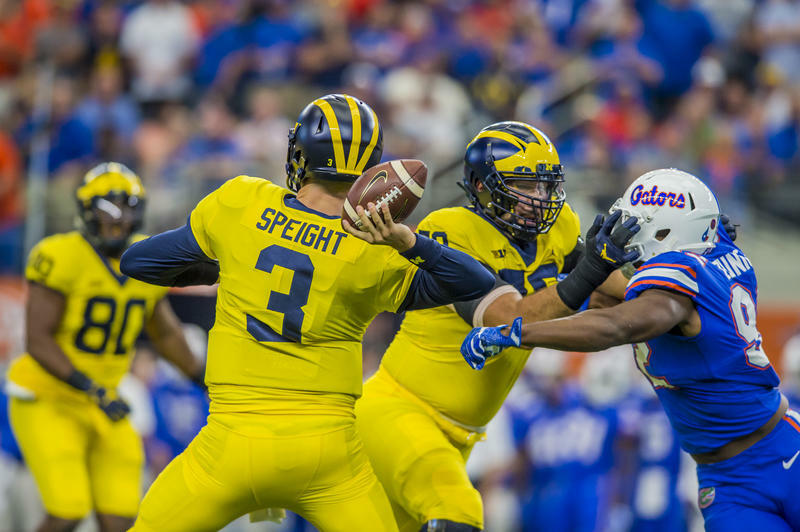 It’s seems like eons ago now, but just two years ago, Michigan football coach Brady Hoke seemed poised for a solid season. 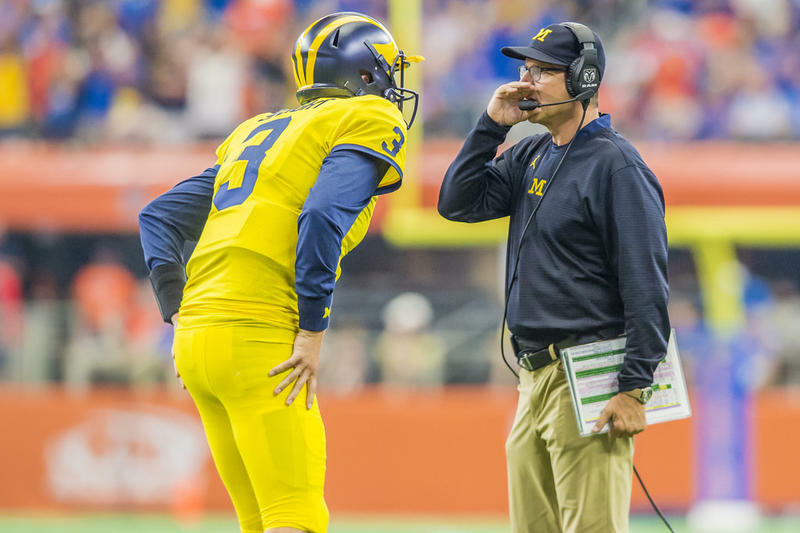 With eight or nine wins, Hoke’s job would be safe, athletic director Dave Brandon would give him a contract extension, and the Brandon-Hoke Era would continue for many years. On the West Coast, everybody expected Jim Harbaugh’s 49ers to make their fourth straight trip to the playoffs. 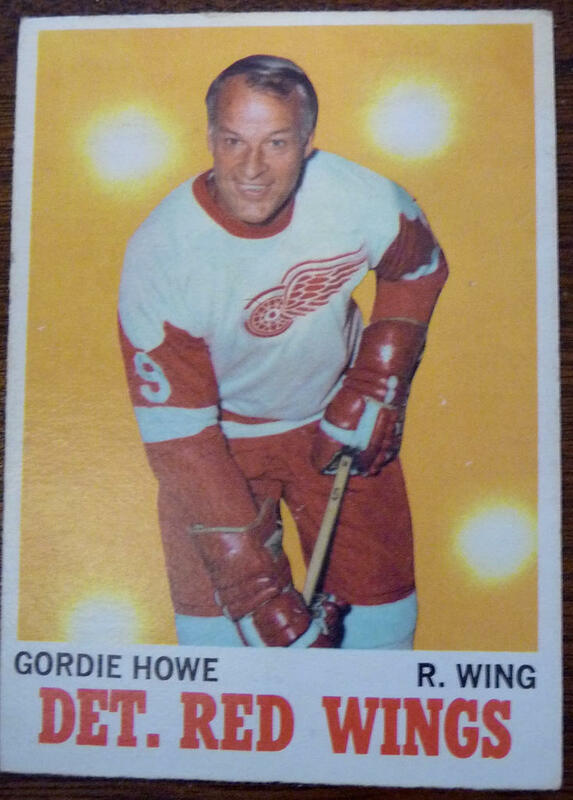 Gordie Howe lived so long that most Americans don’t know that he set just about every record there is, he helped the sport expand, he got hundreds of thousands of Americans playing the game, and millions more watching. Howe was one of nine kids born in a farmhouse in Floral, Sasketchewan – a town so tiny, their post office closed in 1923. During the Great Depression, a neighbor brought over a gunnysack full of used things, including a beat-up pair of skates. Listen to John U. Bacon's thoughts on Carol Hutchins. Under coach Carol Hutchins, the Michigan softball team has won 19 Big Ten titles, and nine in a row -- more than the rest of the Big Ten combined. She has led her team to 18 regional crowns, and made it to the College World Series 12 times in the past 22 years. But what’s more impressive is how she’s done it. Since 1995, every player who’s played on Carol Hutchins’ Michigan softball team for four years – which is pretty much all of them – has made it to the College World Series. For a record 25th straight season, the Detroit Red Wings made the playoffs. For the seventh straight season, they didn’t get past the second round. Well, no matter, Wings fans because whether the Pittsburgh Penguins or the San Jose Sharks raise the Cup, they will be following in your favorite players’ footsteps. 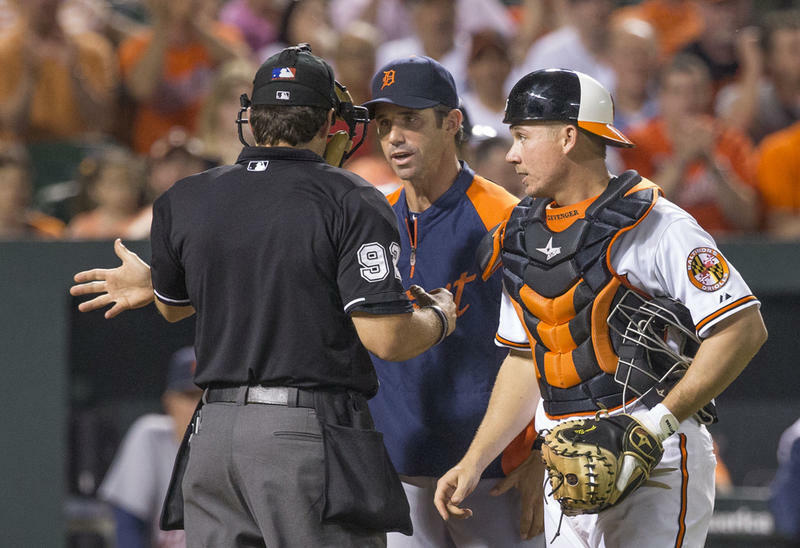 The Detroit Tigers entered this season with expectations as big as their payroll. It’s currently at $196 million, the fourth-largest in the major leagues. The only teams who spent more are the Los Angeles Dodgers, the New York Yankees, and the Boston Red Sox. You know, big city teams that compete for things like the World Series. The Tigers might have been paying like the big boys, but they weren’t playing like them.